And then the night comes, uploaded into Flickr by Nina_999. Click on pic to see it in Flickr. The Flu bug has hit me hard, so this will be a quick one. 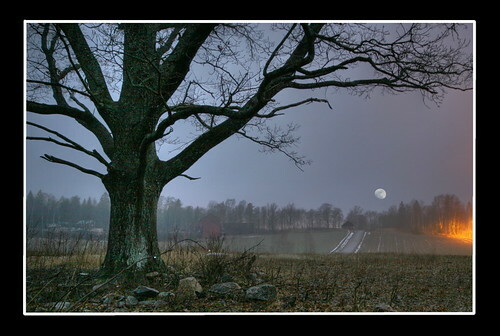 Liked this shot (from Finland), but am sorry there is not large verson available. Great picture! What is the source of the light on the right horizon? Wit the moon so full, it can't be the sun at either its rise or set. Any ideas? I am not sure, but would guess it is man-made light source of some kind, off-frame, the resulting illumination of which can be enhanced by HDR processing. Thanks For Sharing the wonderful article. Your article is so excellent, I'm glad to have read this article and so useful for the development of my thinking in the future. I hope you can continue to post the other quality articles, Because it's so nice to reading. I am Somebody! I am Somebody!